Official Press Release of the EU Parliament Committee on the Environment, Public Health and Food Safety. 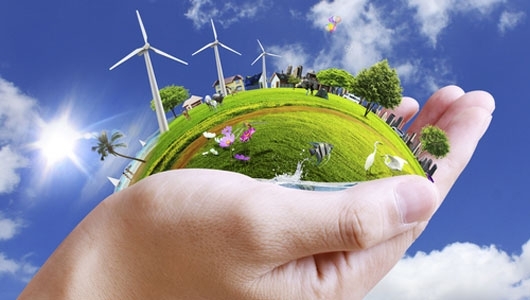 Environment MEPs proposed to raise the EU renewable energy goals for 2030. The share of energy from renewable sources, such as solar or wind, should be at least 35% of the Union’s gross final consumption of energy by 2030, Environment MEPs said on Monday. The approved legislative text is part of the ongoing reform of the renewables energy directive, a central piece of the EU energy and climate change policy, which had already set a 20% target for 2020, back in 2009, with individual targets for each EU country. The European Commission proposed to prolong the scheme until 2030, raising the target to at least 27%, albeit as an EU-wide target. MEPs propose to reintroduce mandatory national targets to reach an EU 35% goal. The draft legislation states that the share of biofuels in this effort should be no more than 7% of final consumption of energy in road and rail transport. MEPs propose to phase-out food-based, first-generation biofuels responsible for driving deforestation by 2030, and already from 2021 for those made from palm oil, while encouraging the development of cleaner biofuels. MEPs also backed the Commission proposal that no food-based biofuels should be subject to minimum targets at EU level. MEPs also set sustainability criteria for biofuels, bioliquids and biomass in order to minimise the risk of using unsustainable forest biomass claimed as “renewable energy” (that would therefore benefit from support schemes). "I am delighted that the Parliament is demanding an end to the use of palm oil as a biofuel. Not all biofuels have the same environmental impact and EU policy needs to make a better distinction between the good and the bad. We have to prevent food and feed crop biofuels end up displacing food production and have a negative climate impact sometimes even exceeding fossil fuel emissions”." said lead MEP Bas Eickhout (Greens/EFA, NL). Next steps: The report was adopted by 32 votes to 29, with 4 abstentions. The Committee on Industry, which has the lead competence on this file (with the exception of the articles dealing with biofuels and sustainability criteria, which are the remit of the Environment committee) will vote on 28 November.